Coromandel Watchdog of Hauraki works with communities to stand against gold mining from Te Moehau to Te Aroha and we network with other similar organisations around Aotearoa and the world, supporting each other in this struggle to protect our environment, our homes, our lifestyles and livlihoods. We provide support, resources and information to community groups wanting to raise awareness, lobby politicians, run events, practice non violent direct action, participate in legal proceedings and build campaigning skills. You can find the contact details of the different community groups here. We also do the important work of advocating for sensible laws and regulations for the mining industry; From initiating the concept of Schedule 4, to submitting on changes to Crown Minerals Act, we are dedicated to advocating for the rights of local communities to protect their local environment from exploitative industries, and to participate in the decision making about such activities in their communities. 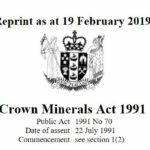 Through the Waikato Regional Policy Statement we were able to get the allowance for areas within the region to be classed as inappropriate for mining. This, plus the work of previous court cases, means we were able to advocate for widespread and sensible protections throughout the peninsula in the Thames-Coromandel District Plan process. You can read more about that process here. 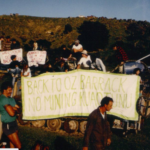 We also provide information and presentations for schools and tertiary education centres wanting to learn more about the issues and history of gold mining. We understand that keeping the community and culture of Watchdog strong is essential for long term success, and host regular community events (concerts, quiz nights and feasts) to bring people together and raise funds – get in touch if you want to be involved with these!